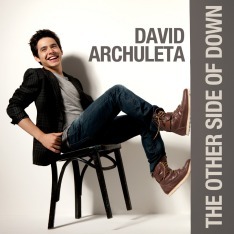 SongsWhen I first saw and heard David Archuleta sing, it was more than a year ago. At the time, he was auditioning for American Idol’s Season 7. He was a shy 16 year old boy and he sang “Waiting on the World to Change,” a song made popular by singer John Mayer. It was January 22, 2008. Coincidentally, it was also my birthday. I will never forget the gift I received that day, listening to this young man sing! I remember thinking as I watched David Archuleta for the first time, what an adorable young man. I was intrigued by his story of vocal paralysis. I was wondering to myself, can he really sing? But when he opened his mouth and those first few notes came out, I was pleasantly surprised. There was something very special about him. He was wonderful. He had a unique sound and the sweetest, most humble character I had seen in a long time. He was truly endearing! During the audition, David was nervous and he forgot a few words, but he kept his cool and showed the judges his talent. He was impressive. He had a voice that was powerful and it had such a soothingly beautiful sound. I just kept thinking …wow, he is really great, I hope he makes it. 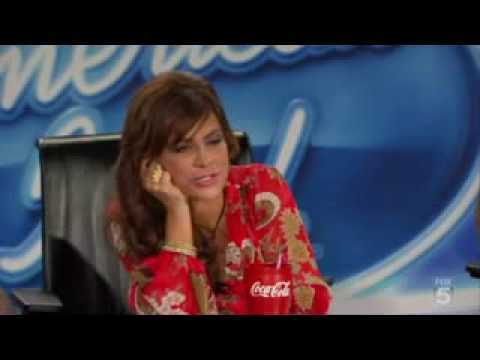 When I knew he had made it through to the next round, I began watching American Idol every week. I wanted to see, hear and learn more about this amazing young man. That was more than a year ago and I am a hooked fan for life. That night back in January 2008, David Archuleta captured my heart with his rendition of “Waiting on the World to Change.” From that moment on, I wanted to hear David sing anything and everything! So the song I would like to share this week is “Waiting on the World to Change,” the song that started it all for David and many of us fans. “Waiting on the World to Change” was written by John Mayer for his 2006 album titled Continuum, on Sony’s label. It was produced by John Mayer and Steve Jordan. It won John a Grammy in 2007 for Best Male Pop Performance. It is a bluesy rock song about disconnect and hope. The song’s theme discusses the current world condition and how powerless the youth of today feel about it. But, they are hoping things will change. I’ve been listening to David since his Idol days…have attended 3 concerts, two solo, and one with Demi. He never disappoints. He is such a musical prodigy, with a voice to die for. I am so impressed with him. I can’t wait for his Christmas album! Wonderful song, one of my favorites. Simon really thought this song was a great choice and it is, but David made it better..seems like such a long time ago he was standing there breaking into our hearts……and look where he is now…..Wow! Bravo David!